I’m Earma Brown aka America’s Book Success Coach, twelve book authorpreneur, indie publisher, creator of twelve writing and publishing courses including the 100 Days To A Book and Self Publish Your Way training programs. I’m founder of the Book Success Academy. Special Update: My husband recently passed away. I’m in the midst of re-building my life and work. So, please pardon the dust and any broken links. Meaning if you click on many of my sites and you arrive at a Domain-For-Sale for thousands of dollars or some generic clothing store resides there now, just know it’s not me. It’s taking some time to recover but I’ll get there. Thank you for your respect and support of my work during this difficult season. Don’t count me out; I still have a few Internet properties left that I’m rebuilding. In the interim most of my courses will be housed at the Book Success Academy…With that said, new and improved 100 Days To A Book, Ebookitology and Self Publish Your Way coming soon! For now, I’m offering a free book to support you in jumpstarting your book project. Click here to read more about that or keep reading and click there at the end of this page. Back to my story and what it has to do with you, as you might imagine, I didn’t start where I am today. I struggled for a long time, which is why I’m so passionate about training my students and coaching those who follow my work to their own book success and beyond. In my opinion, the Information & Digital Age is the perfect opportunity for experts, entrepreneurs and especially writers, authors and indie publishers. I have a bachelor’s degree in Business and minor in English. But I gained my best expertise through life’s test and trials in business, learning from my mentors and competitors. I’ve struggled with the feast and famine seasons… So, after establishing my own online business, my current mission is to teach other experts, entrepreneurs, business professionals learn how to do the same. I love to develop resources that help you as an expert, entrepreneur and doctorate deliver your message effectively and then make money online using YOUR information. 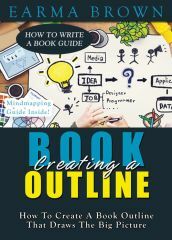 Here’s what this is about: I’ve just re-launched the second book of the How To Write A Book Guide called “Creating A Book Outline!” that will walk you through easy, step-by-step instructions to create an outline, all designed to jumpstart the writing of your own simple, but powerful short book that creates free publicity for you… 24/7 even while you sleep. Would it make your life better to gain credibility as an expert in your field or in your area of passion? Would a new profit stream to receive life long passive income improve your quality of life? If you’re anything like me, you would love a chance to change your life forever… you’ve been waiting for an opportunity to give your career a long awaited boost! So if any of that’s you and you want to enjoy the credibility of an expert and the fame of a celebrity that comes from having your name published all over the world, then click here to read more.